The common symptoms seem to include sync errors with the Google account and consistent crashing when attempting to opt into Google Now on the device. The scary part is that some people have also seen the problem spread to other devices sometime after setting up their Nexus 5. One of the affected users, Jess Newcomb, has posted this video which demonstrates the issue and some of the bizarre behavior related to accounts. A few people have had luck by repeatedly signing out and back into their accounts, but some say they've tried this upwards of 30 times without luck. Still others with rooted phones have been able to fix the issue by removing Google Search and installing an older version, then opting into Google Now, and finally updating the apk back to v3.0. This solution is still very hit-and-miss, but if you're comfortable with modifying your phone and technically voiding your warranty, the steps are outlined in this post. Another user got it working after doing a factory reset on the device and going back through the setup process without a SIM card in the phone, but this has seen similarly limited success. One important thing to consider for those with a Google Apps Business Account: Google Now might simply be turned off. If this is the cause, it should have already been obvious since the feature wouldn't have been working on other devices, either. Still, it's worth mentioning in case some people are only just discovering Now. To enable it, an administrator for the account can follow these instructions. It seems the most likely explanation may have to do with Location History. One user received word from Google that Location History has become a hard requirement for Now to operate. Unfortunately, this should mean people in countries where location tracking is prohibited will be missing out on the super-intelligent service. Obviously, this will also affect anybody with Location History disabled, either with a Google Apps account or on their personal account. For Google Apps users, this can be modified in the dashboard. Regular users can visit this page to check their own settings. Even if you have Location History enabled, a couple of people have solved their problem after disabling and re-enabling it, then signing out and back into the phone with their account. By all appearances, some accounts may have some corrupted data that can be fixed by toggling this setting. Without a single clear explanation for how Google Now is breaking, it's difficult to recommend a course for fixing it. Hopefully, some of these methods will give afflicted users a shot at solving this. Google is advising affected users to send feedback through Settings -> Help & Feedback -> Send Feedback because it will include additional information about the device and how it is configured, this way there's a greater chance of tracking down common cause. 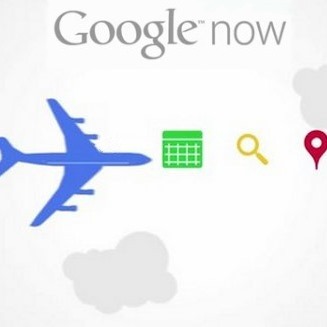 Given the strategic importance of Google Now, this is certainly something the company will want to resolve quickly.